(19 March,2019), Protesters have condemned the death of a young man who was exposed to torture in prisons controlled by the Security Belt in Aden. (21 March,2019), The displaced people in Tur Al-Baha camps in Lahj governorate are in need of shelter, water and food and become more vulnerable to infectious diseases and malnutrition in the absence of international and local support. (22 March,2019), On Mother’s Day, the Abductees’ Mothers Association held a protest in front of Ma’ashiq palace in Aden demanding the release of their forcibly arrested sons. (22 March,2019), Local sources: a girl was killed in a landmine explosion in Al-Qabbaytah district in Lahj governorate. 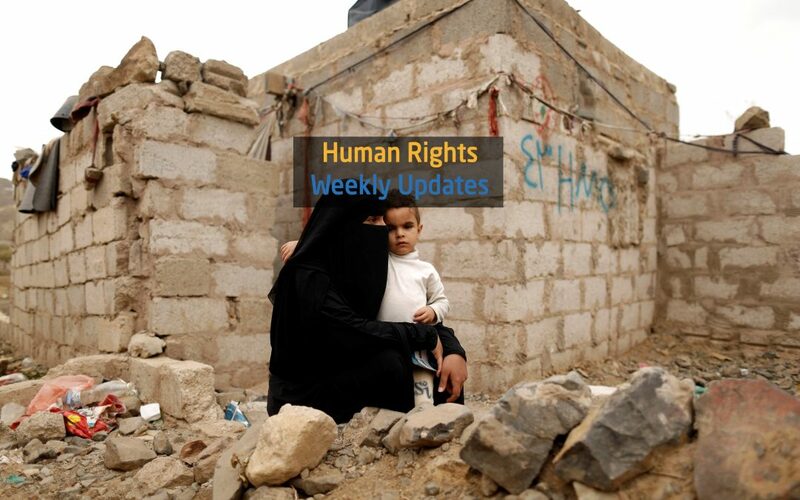 (23 March,2019), Dozens of civilians were killed and injured because of violent confrontations, broken out after the local authority announced the launch of a security campaign against outlaw groups in Taiz. According to eyewitnesses, 6 civilians were shot by bullets, including an old woman. (25 March,2019), Three civilians were killed, including a child, in Houthi group shelling in Hays city, south of Hodeida. (25 March,2019), Three civilians were killed and others injured in confrontations between security forces and protesters in Brega district in Aden, the interim capital.